Summer Short Breaks - get away to Suffolk this summer! Summer is the perfect time for your short break in Suffolk, being of one the sunniest counties in the country. Whether you are on a weekend away with friends or a loved one, on a break with the kids, or taking a business trip, Suffolk has a large selection of hotels and accommodation for you to choose from this summer. What better place to stay for your summer short break than the glorious Suffolk coast - beaches, sea views as far as the eye can see, traditional sea-side amusements, activities and food, plus a wonderful selection of accommodation options to choose from. The White Lion, Aldeburgh, overlooks Aldeburgh's shingle beach where fresh fish is sold from wooden huts which line the shore, and its 38 bedrooms are cosy and inviting. 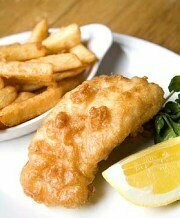 Guests have the choice of dining in the informal beach-facing Bar or the newly refurbished oak-panelled restaurant. Also in Aldeburgh, The Brudenell Hotel has recently undergone a complete refurbishment and its 44 luxurious bedrooms are decorated in calming colours and most have views of the sea or the River Alde and the surrounding countryside. The informal restaurant uses fresh, seasonal produce to create dishes which are simple yet bursting with flavour. The Crown & Castle, Orford, is a 16th Century building with 18 light, stylish bedrooms all with modern en-suite bathrooms, and there are excellent views of Orford Castle from the terrace - the perfect spot to take in the sight of the setting sun. The Ship, Dunwich - with comfortable, traditionally furnished rooms - some with views across the sea or marshes - and a huge garden, and also and claims to serve the best fish 'n' chips on the coast. Click on the link above to make a reservation and test this for yourself! 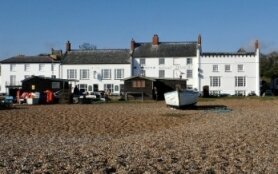 For more information please see our Complete list of Coastal Hotels in Suffolk. For adult-only, all inclusive breaks by the sea, Gunton Hall, Lowestoft, and Warner Corton Coastal Resort, Lowestoft, are first-class holiday resorts with daily activities and leisure facilities on-site, and a nightly programme of entertainment. Please also see our article on Holiday Resorts in Suffolk. The whole family can take a short break in Suffolk during the school holidays - and, happily, the vast majority of hotels and accommodation options in Suffolk are family-friendly. Many have Family Rooms for hire, along with children's menus and large gardens where your little ones can let off some steam! Please see our list of Family Friendly Hotels in Suffolk to start planning your short summer break today. You may also want to check out what's on over the school summer holidays by viewing our guide to Summer Holiday Activities in Suffolk. Suffolk is home to many areas of picturesque rolling countryside, the perfect place to relax and unwind, escaping from the stresses and strains of city-living - one weekend here is all it takes! Kesgrave Hall, Ipswich, is the ultimate in luxury hotels and is the perfect venue for a short break visit, making an ideal base from which to explore the surrounding areas. With a strong reputation for great food, this addition to the milsoms hotel group is a welcome addition to the Suffolk short break scene! Tuddenham Mill near Newmarket and Bury St Edmunds, is a chic, renovated mill that offers you a unique countryside environment, a selection great food and wine, plus the ultimate in bedroom comforts with a discreet yet attentive service. Ideal for a short summer break in the glorious Suffolk countryside. Suffolk Inns make great venues for your summer short break, being great value for money, traditional, welcoming and comfortable - and all available for short stays. The Westleton Crown, is another lovingly restored coaching Inn that offers a friendly atmosphere alongside cracking log fires, real ales and delicious food. Meals and drinks can be taken in the elegant dining room, cosy parlour, chic conservatory or the pretty terraced gardens for some alfresco dining, and there are 25 stylish bedrooms for short breaks - or longer! To view all of our Inn and Pubs with Rooms accommodation, please click here - Inns & Pubs with Rooms in Suffolk. Short summer breaks needn't cost the earth as there are a number of Budget Hotels available in Suffolk. 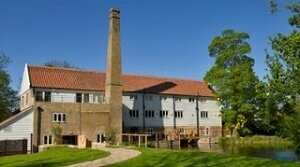 Please see our listing of Budget Hotels in Suffolk. Have a great time on your short break in Suffolk this summer! 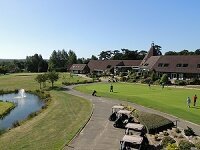 For an up-do-date guide to all of the hot deals being offered by hotels in Suffolk, please see Special Offers from Hotels in Suffolk.